Prehistoric families going through modern problems, walking side-by-side with dinosaurs which occasionally take the place of modern machinery–sounds awful familiar, doesn’t it? 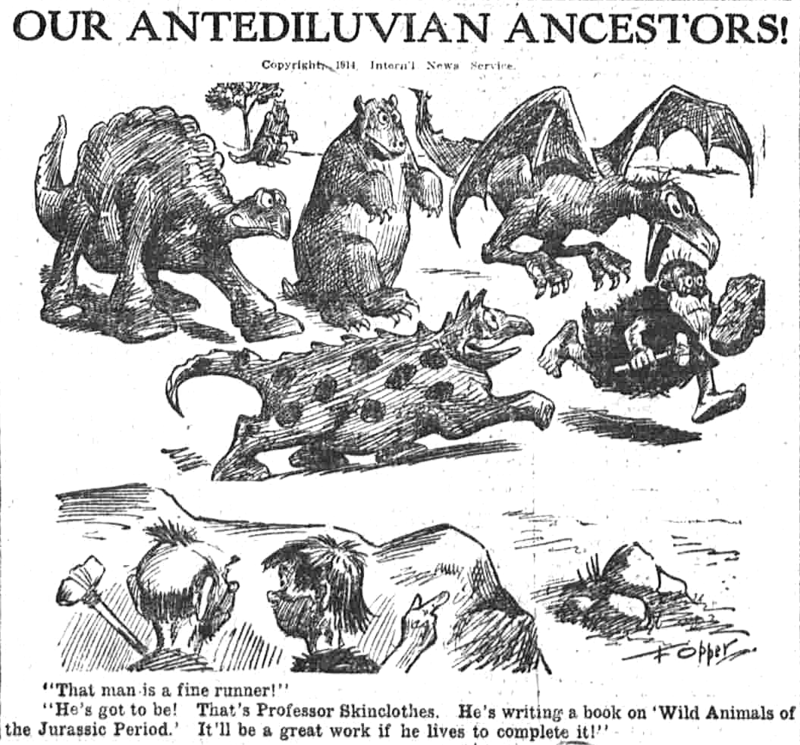 But about sixty years before Fred and Barney began their lucrative impersonations of Jackie and Art, F. Opper launched Our Antediluvian Ancestors, the first caveman comic strip! And a fine, funny strip it was, as could only be expected from Mr. Opper, already a giant in the field of comic art when he started the strip in 1901.